Imagine you are writing serious journalism and books about globalisation and outsourcing all the time, when all you really want to do is to get people outside of the ‘inner circle’ to understand why this is so important. I was in that situation in 2008. I really wanted a way in which I could get people away from the technology readers to understand how jobs are moving around the world more easily, people are moving to find jobs more often, and education is changing (or needs to change) to meet the needs of a more fluid society. So I wrote a short story about dogs instead of another academic tome. 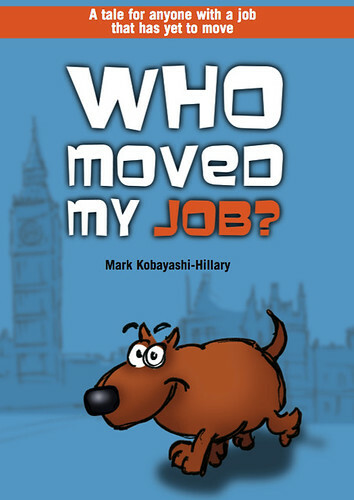 It’s just 90 pages and it’s cheap – Amazon often have it on sale with a reduction in price, which they probably charge back to me anyway… it’s about English dogs losing out to foreign breeds of dog, and needing to find their place in the world again. Take a look at the book website, or just order a copy from any major retail site such as Lulu, Amazon (Amazon in UK here), or Waterstones. 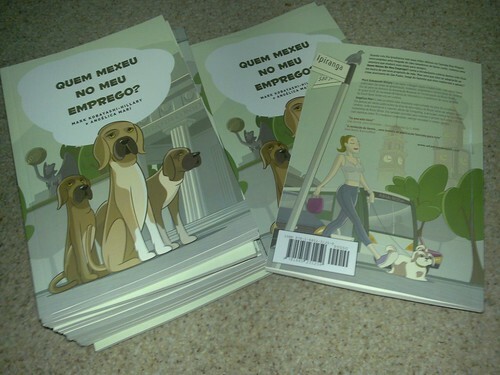 And, if you are based in Brazil, there is a Portuguese version of the book, not only translated, but localised so the dogs have moved to Brazil and herd cattle instead of sheep.